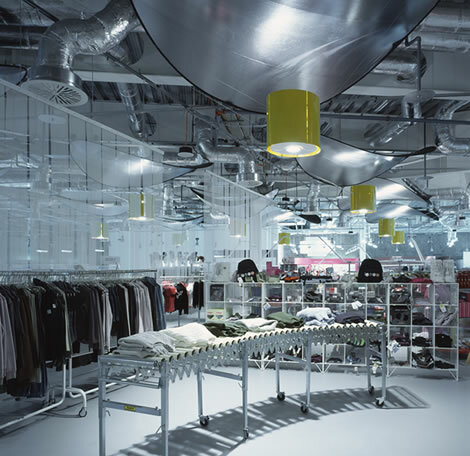 Inspired by Nick Eldridge’s design for the BT Cellnet/O2 project in Ealing Studios, Vittorio Radice, Design Head at Selfridges, commissioned the practice to design an entire floor of the Future Systems Selfridges store in Birmingham. The practice’s design for the ‘Spirit’ floor is a rigorous and versatile landscape of shopping cultures and leisure products. 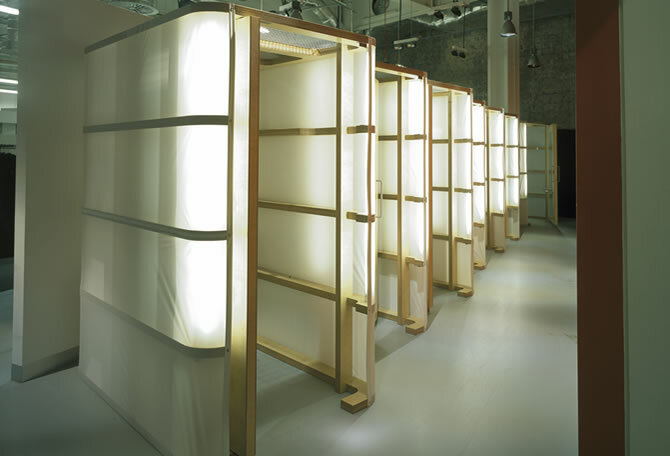 Laid out like fields in a landscape, the transitory marketplace feel is unified by a resin floor and structured by a repeating grid of bespoke light fittings incorporating large elliptical photographic reflectors. 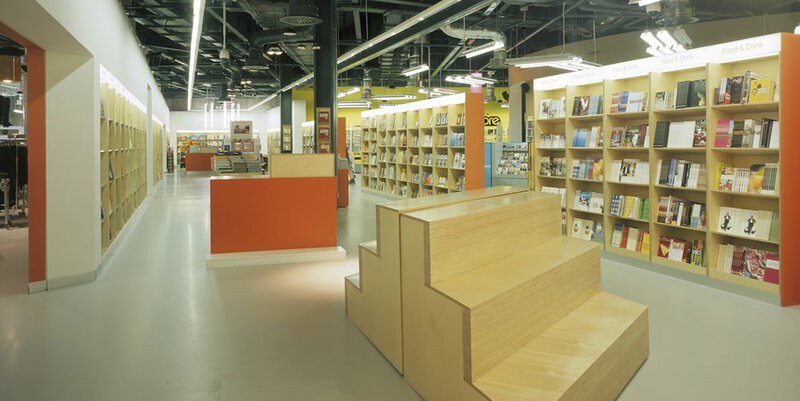 The Book Department, mediating between the Fashion and Technology areas, is enclosed by a wall wrapped in a vivid orange book jacket and lined internally with birch plywood shelving echoing the parchment texture of raw paper. 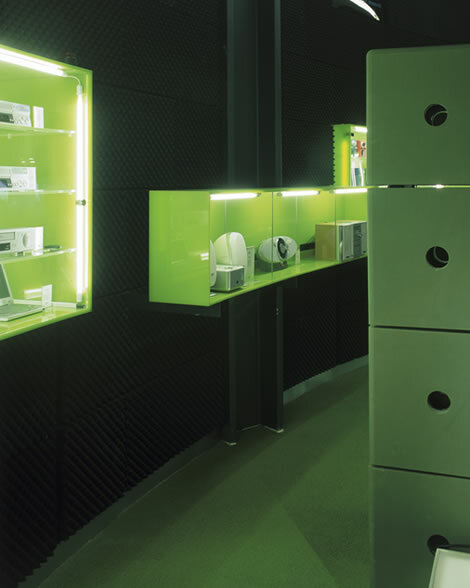 The Technology Department is defined by a wall which is analogous to the packaging that the electrical products it displays are delivered in and counters the corrugated cardboard exterior with a spongy profiled foam panel interior. 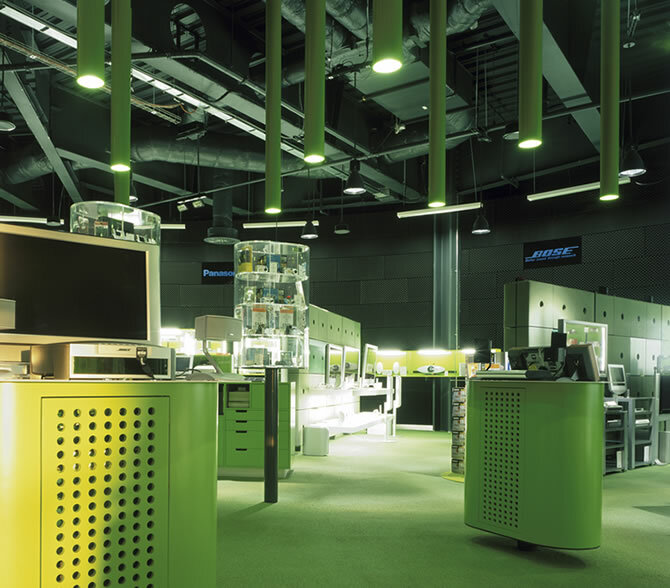 The practice developed a design aesthetic which responded to the continual reconfiguration required for changing demand and commercial retuning as well as to retail budget constraints.